North Lanarkshire Council has approved its latest winter policy and procedures document, which spells out the local authority’s strategy for coping with severe weather. Council gritters will continue to focus on primary roads, which includes those necessary for access to schools, emergency services stations, and major bus routes, and these will be gritted on a precautionary basis. The SNP group proposed an amendment to rewrite priority areas to include the pavements outside schools (currently the responsibility of school janitors) and other areas with high concentrations of vulnerable people, while the Conservative group wanted to support dairy farmers trying to get milk to shops. This amendment was defeated, and SNP group leader David Stocks said: “The people of North Lanarkshire are demanding improvements to the way in which the local authority handles snow and ice, and this decision to do nothing will rightly anger those who were injured as a result of the current policy. 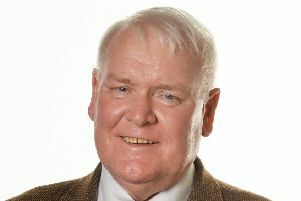 However, council leader Jim Logue outlined some of the difficulties facing the council. He said: “In the 2017-2019 budget we have 79 fewer employees in Land Services to go out and man the gritters. Meanwhile, Independent councillor Tommy Cochrane called for the public to be kept better informed about gritting activities via social media.